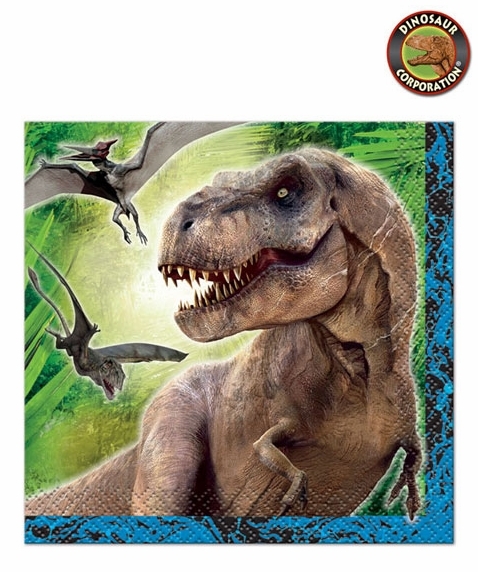 Jurassic World Party Beverage Napkins are perfect match for dinosaur enthusiasts featuring T-rex with Pteranodons. Have the best realistic Dinosaur Birthday Theme Party! Remember it is going to be a big Jurassic World Party Game!